Vehicle wrap ads are common to spot as businesses frequently use this low-cost medium to reach millions of customers. But designing a unique wrap ad requires you to consider many technical and aesthetic aspects. Only a strategically created vehicle wrap design can take your brand message effectively to your audience. Wrap marketing is very popular with small businesses. In this method, generally outer portion of a larger vehicle is covered fully or partially with advertisement. Such a vehicle is either painted with an advertisement or there is the use of large vinyl sheets to reduce the cost of changing a advertisement. All the sides of vehicle are used as advertisement space. But wrap design plays a key role in determining its desired impact on viewers. One of the reasons for vehicle wrap being so popular with businesses is that the vehicle becomes a moving billboard. Many thousands of people see such wrap advertisements daily as the vehicle moves around in a city. So, vehicle wrap is basically a mobile billboard with a lot of ad space. This marketing tactic suits to small businesses more as they have to pay for once. Vehicle wraps give your brand the best exposure among your target audience at a low marketing cost. According to the new statistics available, one car wrap generates up to 70,000 impressions each day. Viewers recognize a company name on wrap ads fifteen times greater than any other advertisement means. Most importantly, 30 percent people base their buying decision on seeing vehicle wrap ads. However, designing of vehicle wraps requires some standard graphic design skills and research from the designer. If you are a business owner and want to use wrap advertising to our advantage, make sure that the ad design is perfect. 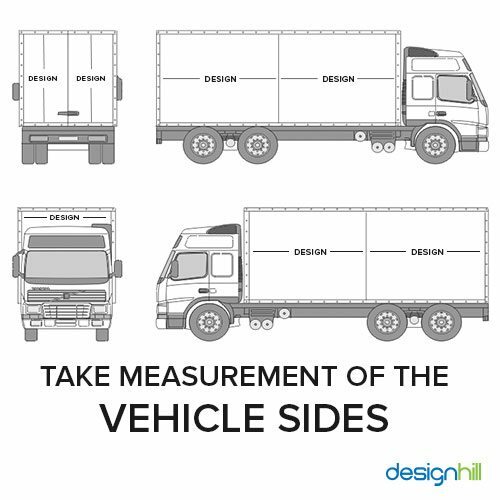 Before going to the drawing board to start creating vehicle wrap design, a designer and business owner should observe the vehicle and take its measurements. You should measure the vehicle sides, roof, rear, hood, and bumpers. Take direct photographs of all the sides. Do not take photos from angle. Make sure that you have measurements and photos of extreme curves of the vehicle as well as body breaks, door handles, rivets, and other such parts. So, as a designer, you should be inviting the client and bring the vehicle in your design shop to take photographs and measure. 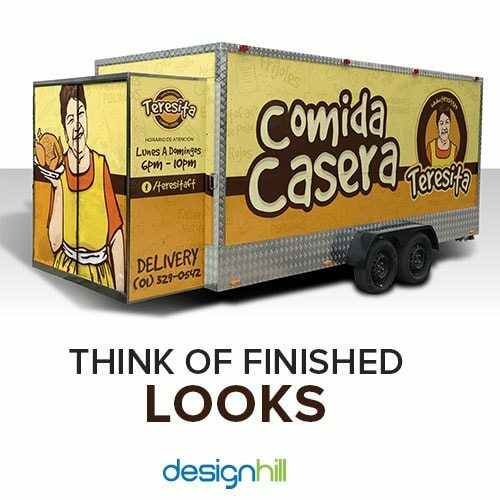 This way, you will have a feel of how your ad will fit on the vehicle and how its overall appearance will look to people. When choosing a vehicle wrap design, ascertain that it is in sync with your brand message. Each image, typeface, color, and any other element used should be sending right brand signals to your target audience. An effective way to know if the wrap ad is expressing your brand identity and message is, that you write your message on a piece of paper in a sentence or two. When the design is ready, read those sentences and see if the design is conveying the same message. Remember that your vehicle wrap design should build your brand identity. So, it is important that your wrap ad design conveys your brand message. 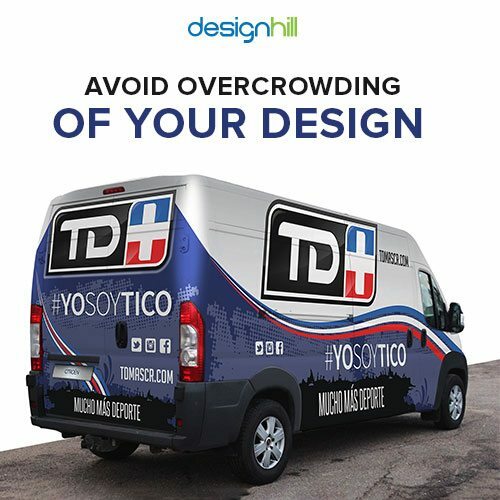 Any vehicle wrap design that does not stand out in the crowd of hundreds of wraps will not yield the desired results. A designer knows the value of a unique design concept. 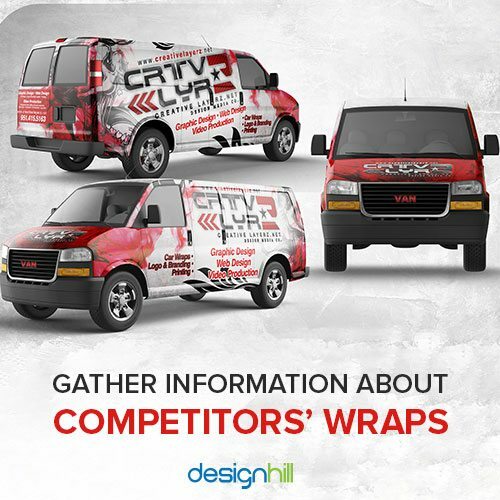 But it is only after comparing your wrap with that of your clients’ competitors’ wraps that you can create something different. So, after you know your client’s brief, research not only the concerned market but take a good look at other wrap ads from the same business. 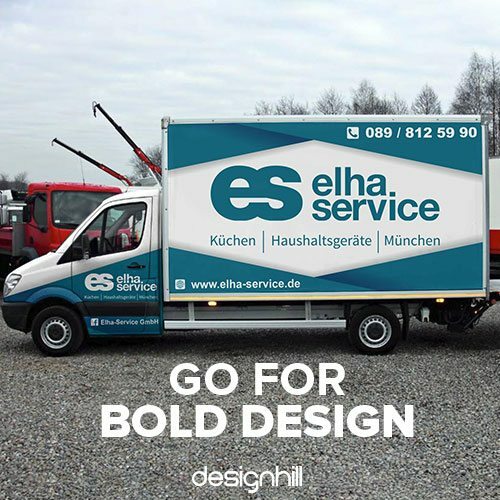 Your vehicle wrap design idea must be exciting and outstanding. 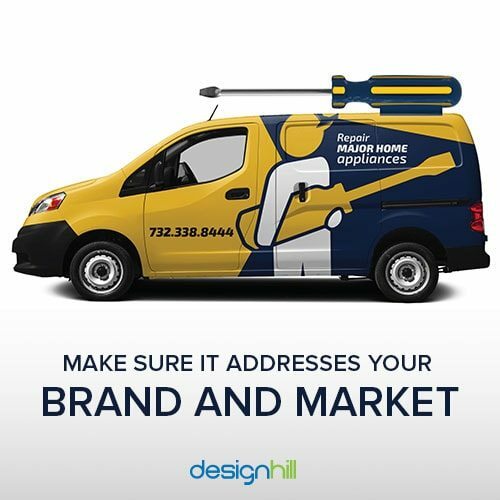 You can crowdsource your vehicle wrap design work to Designhill, which has hundreds of professional graphic designers. Many of them will come out with unique concepts in response to your design contest. This way, you are able to source many wrap design concepts from several designers at an affordable cost. You have 100% Money Back Guarantee from this platform in case you do not like those design. So, you get exciting design ideas without risking your money. Get professional car wrap designed for your business. Browse Designhill for different types of designs to choose from. Pick colors that evoke right emotions related to your brand message. Make sure that you use colors to make an impact on viewers. 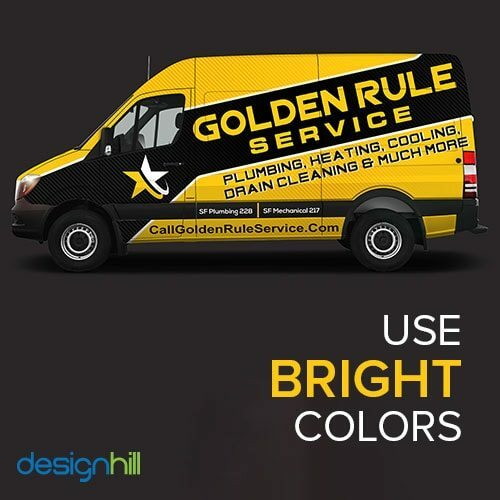 Use bright colors for designing vehicle wrap. This is because people can quickly see bright colors from a long distance. This way, your ad will reach to more people. A vehicle wrap design must be clearly seen from even a very long distance. Big size of wrap ads will also assure quick attention of people who are travelling in cars or other vehicles. Moreover, oversized designs are also memorable as they overwhelm us. Although most wrap ads have hand lettering to create an environment of excitement and fun, still many ad designers use conventional typeface and keep it big and bold. When using such typeface, make sure that you use legible typeface for an impact on viewers. Keep enough blank space so that viewers’ attention can be drawn to the main message and elements of the ad. It is important that your vehicle wrap advertising design is bold. Your ad should have big images, lettering or typeface, and any other design element. Create a big visual experience for your target audience who views the ad from a long distance. Vehicle wraps are not designed in the way as other ads are created. While ads for newspaper and other medium use conventional images of products and other things to convey a message that is not necessary the case with wrap ads designs. 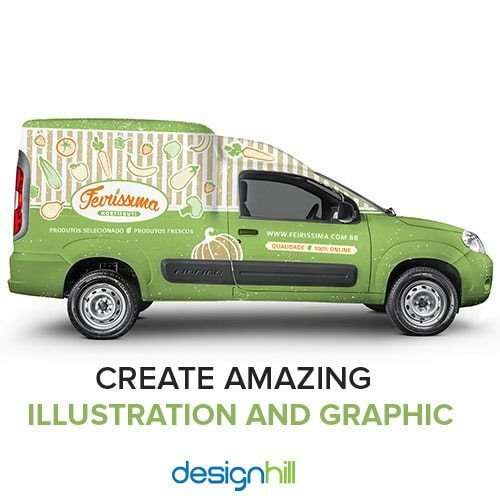 Vehicle wrap designers usually use illustration and graphics to send across a brand message. This is because graphics are exciting and can be visible to people from a distance. A designer can use graphics and illustration to highlight chief features of a product or service easily. Move the vehicle and observe if it looks impressive or is it less visible. How does the wrap looks when vehicle is waiting in traffic or when it is parked at a corner. Observe the vehicle closely to find if you need to reduce the amount of text. Sometimes, opening a door or a window of vehicle hides some parts of text of and ad, which even alters its intended meaning. Take for example at this Starbuck vehicle wrap design. When the door opened, the ad gave an undesirable impression of the company. 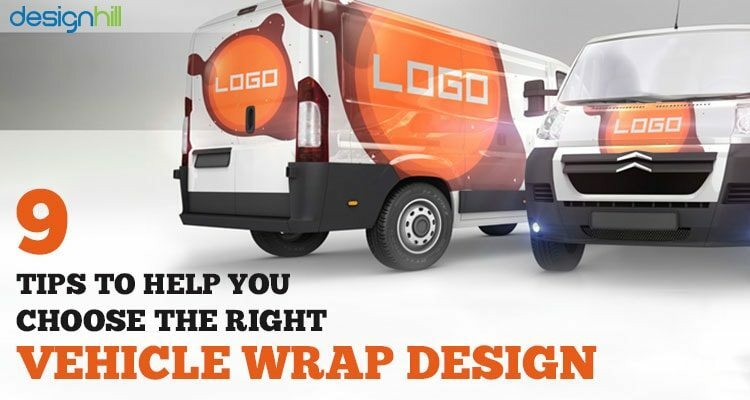 Make sure that your vehicle wrap design is as simple as it can be. Do not overcrowd the design with too many images, hand lettering styles, colors, etc. elements of design. Traditionally wraps are colorful and eye-catching. But that should not mean that your ad has too many images and other unwanted elements. Make your ad dynamic and colorful but ensure a high level of sophistication as well. So, avoid unnecessary clutter and let your message stand out. Remember that simplicity is one of the parameters effective ways to evaluate a quality graphic design including you wrap ad. 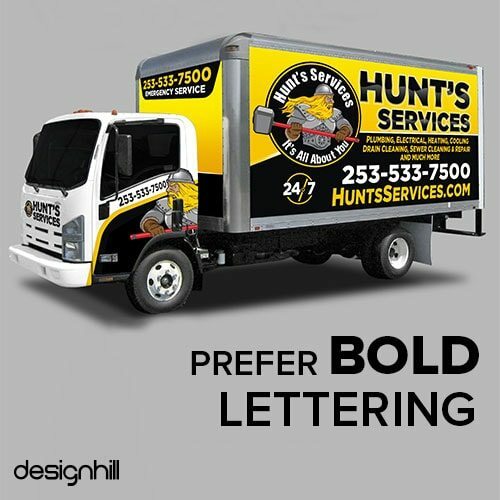 When picking a perfect vehicle wrap design, make sure that it conveys your brand message effectively, it has bright colors and bold hand lettering. This way it will quickly grab attention of people from a long distance. Your design idea must stand out. To get unique wrap design ideas, know ultimate benefits of crowdsourcing as it will not only give you dozens of new designs but your design cost also gets reduced.